When you have more than just a relationship with your working dog; you’ve got a professional job with him/her. He’s more than just your pet; he’s your partner! You are a team! You rely on him and he relies on you to get the job done quickly and effectively. That’s why you need more than just training; you need Professional Development! No matter what the task, job or purpose, you need to know what motivates your dog, as well as his/her limitations and capabilities. Your dog needs to realize what is expected and you, the handler, must understand the most effective way to work with him/her as a team. As a working team, you need to be like a well –oiled machine at the top of your game at all times. There is no room for hesitation, and guess work is not an option for you. 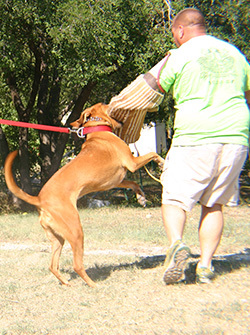 Confidence in yourself as a handler and in your dog’s skills and abilities is a must. 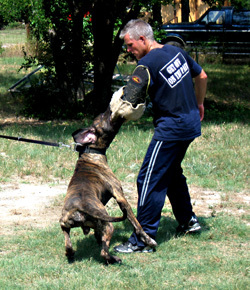 More than just training, we at MTK9 will work with you and your dog using proven methods and techniques to help you develop, refine and enhance your professional handling skills as well as your relationship with your working dog. ***Rob, Head Trainer of MTK9, has extensive knowledge, training and direct experience ranging from military, security, law enforcement, commercial and residential security including self defense. 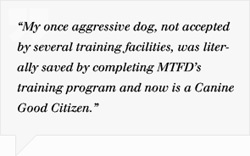 *** Not only a K9 Trainer he has actual practical application and employment in most of the fields previously mentioned. This experience accumulated throughout twenty years is proven to be invaluable for those who participate in any program offered by MTK9.